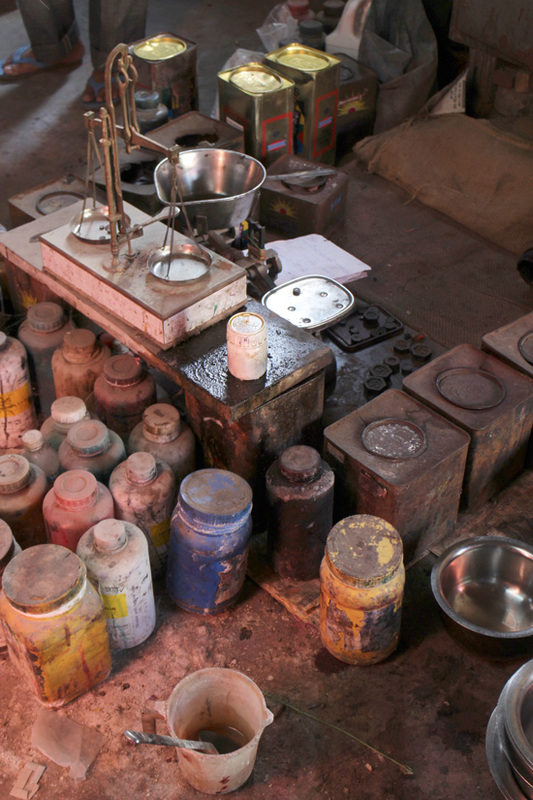 Allow your imagination to wander a little as we travel to a dimly-lit, moody printing factory in the back streets of Jaipur. 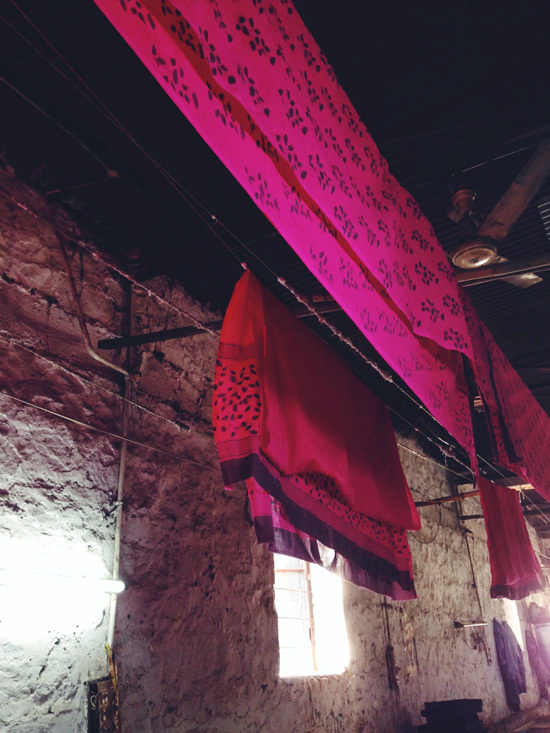 Dust motes drift through the air and long tables, draped in a vibrant magenta fabric, stretch across the length of the space. 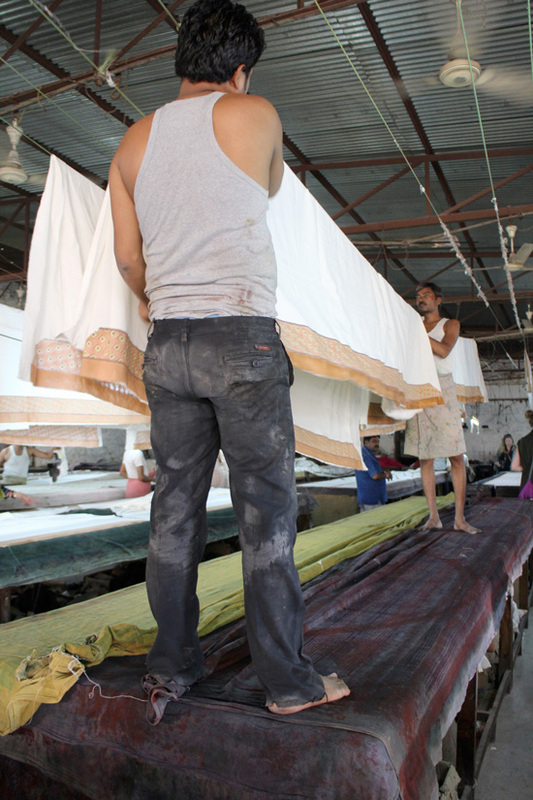 The muted sound of the systematic thump and whack provides the coordinated background beat that the factory workers move to as they efficiently shift between the rows of printing tables. We are in no ordinary printing factory. 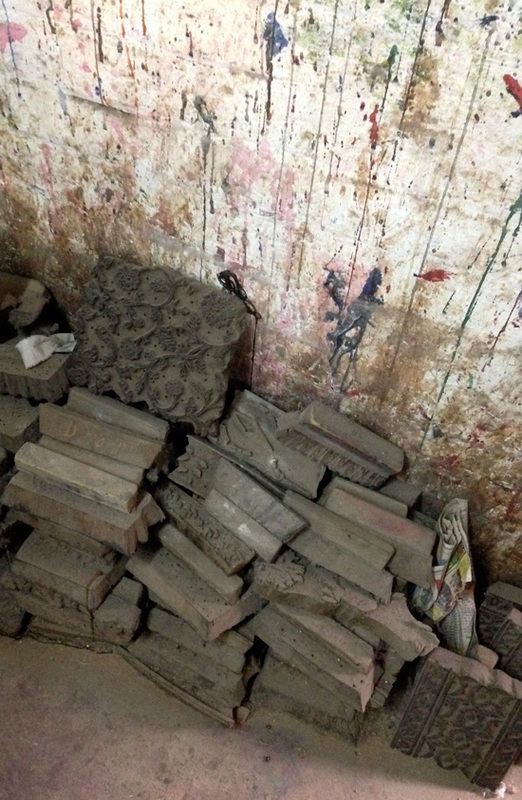 We are in a block printing factory… a hand block printing factory. Literally. 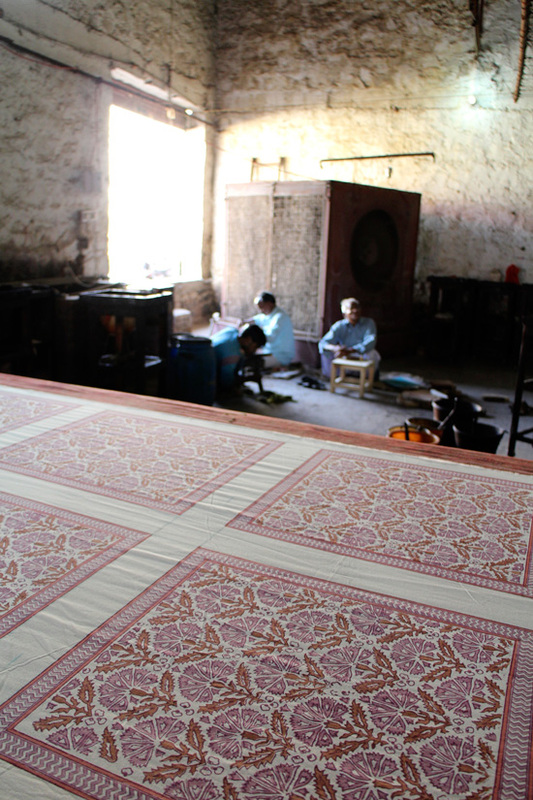 Each motif, each layer of attentively placed colour, is done by hand. Many hands, many hours of work. 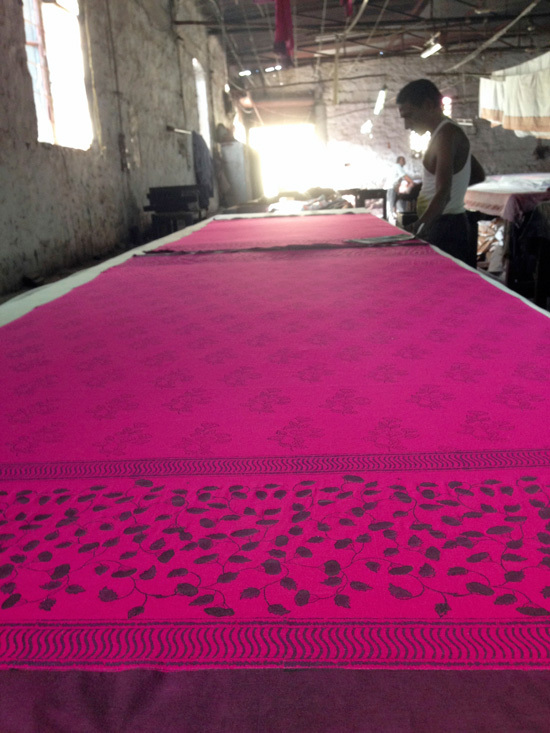 All to produce the most exquisite traditional prints that are one of the customary arts of the Rajasthan region. 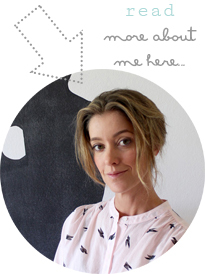 Last month took me on a trip to Jaipur with Ace Camps. 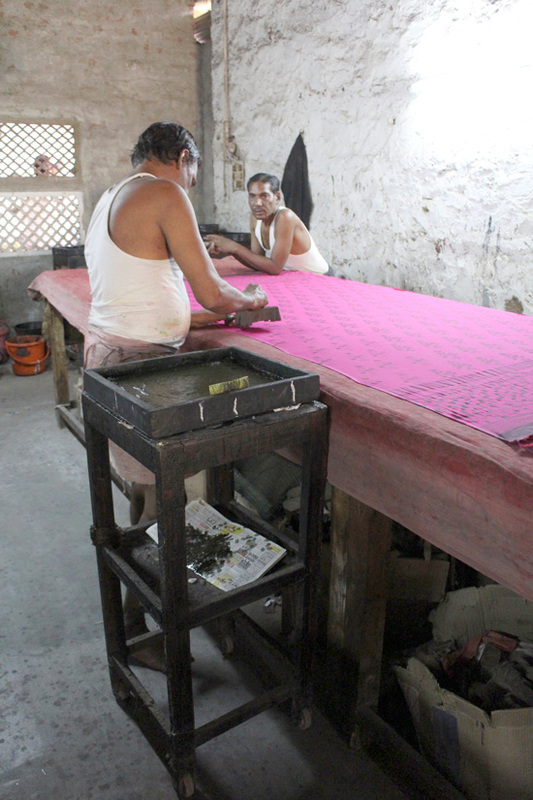 Part of the experience incorporated visits to some of the city’s block printing companies who take inordinate care in keeping the waning art of hand block printing alive in an ever-increasing world of mechanisation and technology. 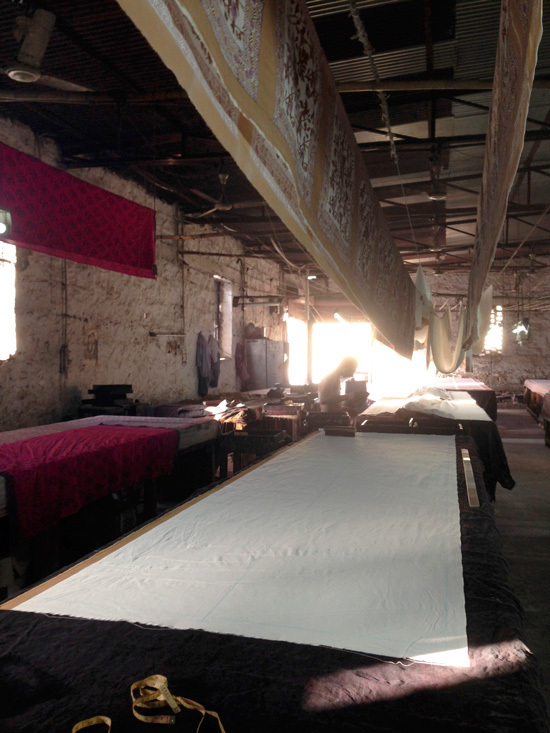 This factory that I’ve just described is Soma, run by Andrée Pouliot, a Canadian designer who first came to India 30 years ago. 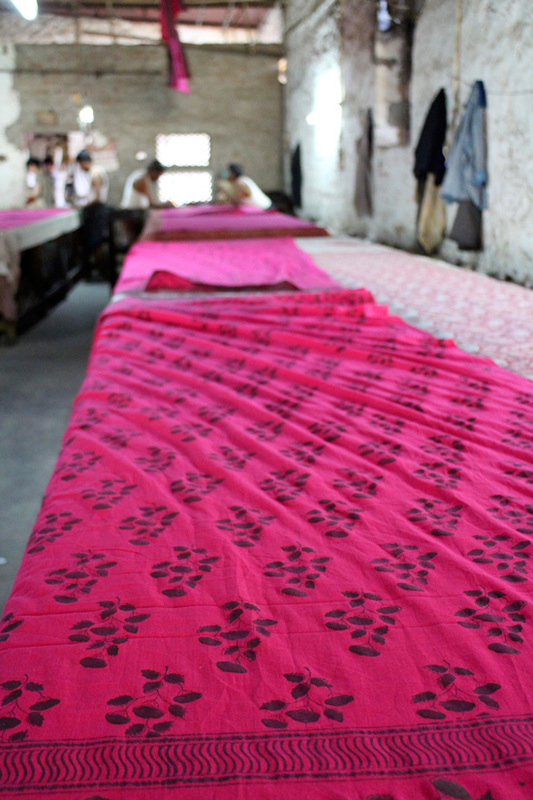 Soma is a popular Indian brand making block prints in 100% Indian cotton, with a selection of ladies fashion, men’s shirts, home furnishings and a children’s range. The designs are fresh and colourful, a great example of how to keep an ancient craft alive with a contemporary outlook. 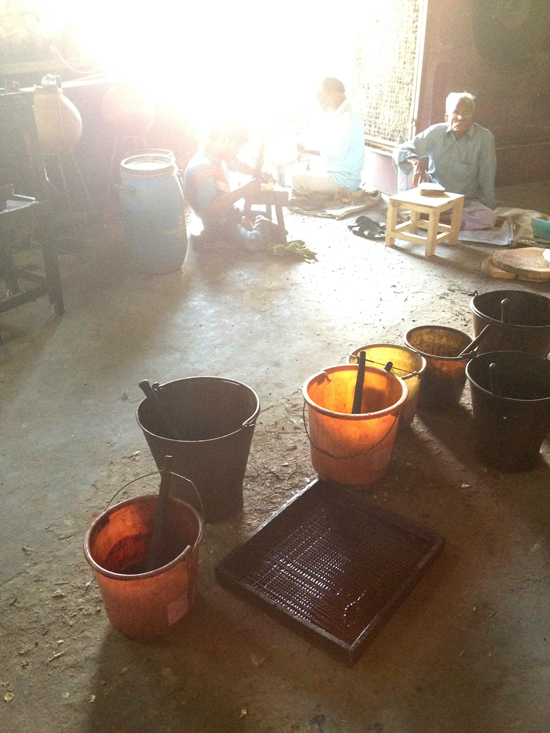 The traditional method of block printing is laborious to say the least. Each wooden block for each part of the design is hand carved by men with decades of experience at chipping away at a single piece of wood. Perfection is expected because each block has to fit seamlessly and evenly across the fabric. 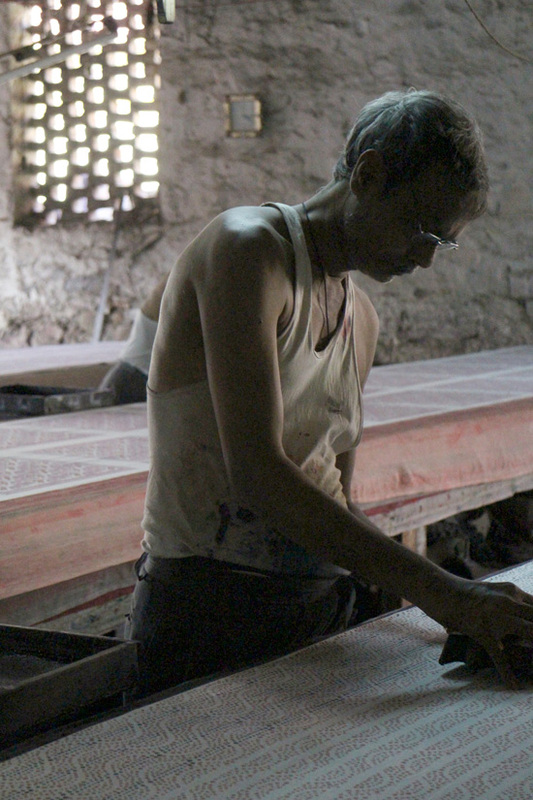 Most block carvers work exclusively for one company, since designs are carefully guarded. The printers also have many years of experience under their belt. They know just how much ink to load their block with, just the correct amount of pressure to apply to the block and registration is done mainly by eye! It’s just incredible to watch these men at work. They are absolute machines and the speed at which they print is difficult to catch on camera. You catch the blur of their hands! 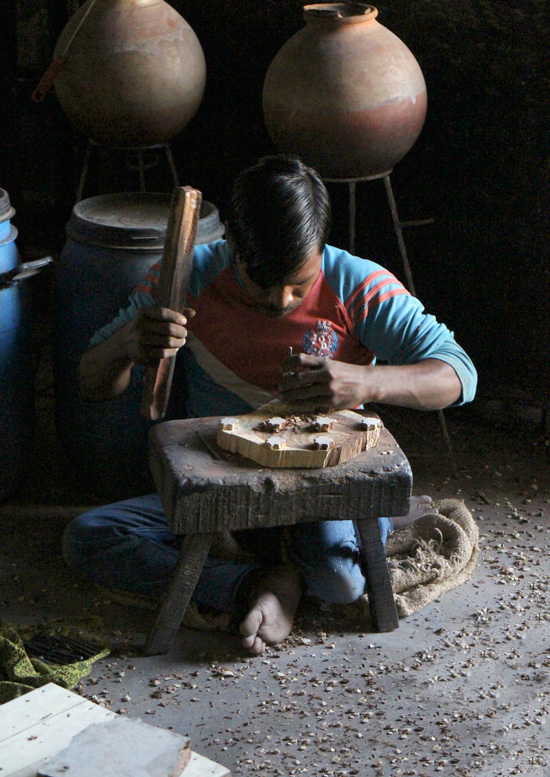 The colours are weighed out on old-fashioned scales and mixed by hand. Another area of expertise, since a few grams too much of a particular powder and the dye wont match the required shade for the design. This entry was posted in inspire, my photography, photography and tagged design, Indian Style, Jaipur, lifestyle, prints, Soma, textiles, travel, wood block printing on November 12, 2014 by DBS.